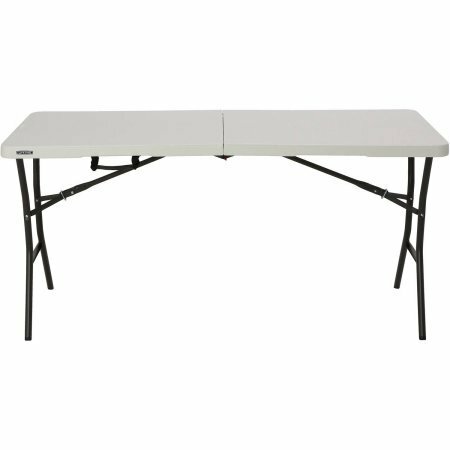 Lifetime 5' Essential Fold-In-Half Tables are constructed of high-density polyethylene and have a convenient folding design for easy transport and storage. The lightweight design and convenient carry handle make it easy for anyone to set up and take down. Our tables are UV-protected, will not crack, chip or peel and are built for indoor and outdoor use. The patented steel frame design provides a sturdy foundation and is protected with a powder-coated, weather-resistant finish. Ideal for family game night, outdoor activities and more, Lifetime's Fold-In-Half Tables are the perfect addition to your home.